The UAE is one of five countries to welcome Chinese tourist parties for the first time ever beginning on 15 September. 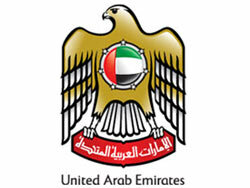 This follows signing of an Approved Destination Status (ADS) agreement last month between the UAE and China. The Dubai Department of Tourism and Commerce Marketing (DTCM) and Beijing Tourism Administration also signed a memorandum of tourism cooperation. CEO of Desert Adventure Tourism said “China is a promising market for us. We are expecting a lot of Chinese tourists to visit as the bookings have already started coming in.” Samir Tabah said most of the bookings are for October and November, and the Chinese tourists are choosing a four night package including hotel accommodation and a desert safari. She said they opened a sales office in China to promote tourism in the UAE. DTCM figures show that 531,918 Chinese stayed in Dubai hotels in 2008, 12% more than in 2007. The ADS agreement is expected to dramatically increase the number of Chinese tourists this year.